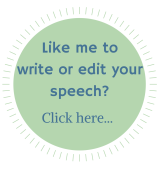 This short persuasive speech sample was sent in by a visitor to this website - Travis, from the United States. Designed to persuade the audience NOT to use cell phones whilst driving, it uses facts to support the argument against cell phone use and ends on a though-provoking note, designed to appeal to the listeners' emotions. Thank you, Travis, for sharing your speech, which I'm sure will inspire others as they work on creating their own. Why should the use of cellphones while driving be banned? The reason why cell phones should be banned while driving is that the majority of our drivers today are young teens and adults who are still learning the rules of the road. Many accidents are caused by the misuse of a cell phone while operating a motor vehicle. 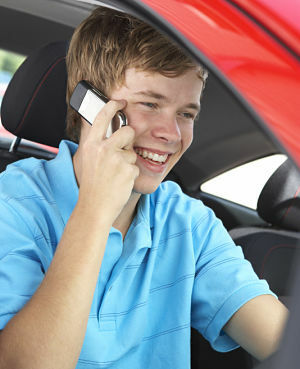 In 2011, 350 fatal car crashes from the misuse of cell phones were recorded and the number continues to increase. This can be prevented if cell phones are just turned off and put away while driving. It's time to make a change and start cracking down on the safety of our roads. I argue the fact that cell phone companies are coming up with new ways of using cell phones while driving, like hands free headsets, or built-in Bluetooth in manufactured cars. This shows young adults that it's OK to use cell phones while driving, and above all the new technology encourages young adults to use cell phones while driving. Why shouldn't the phone companies be punished or regulated? Perhaps people of a certain age should only get a certain type of phone, which could determine if they're driving or not depending on location. Furthermore, why don't parents talk to their kids about road safety and the proper way of using cell phones? Ask yourself this - are you the one who will use a cell phone while driving? Or are you the one who will be able to go home and be with your family? There's always a choice... you'd better ensure that you make the right one.